Speaking of which, I thought I'd put up a coming soon teaser for some of the things happening over the next year. 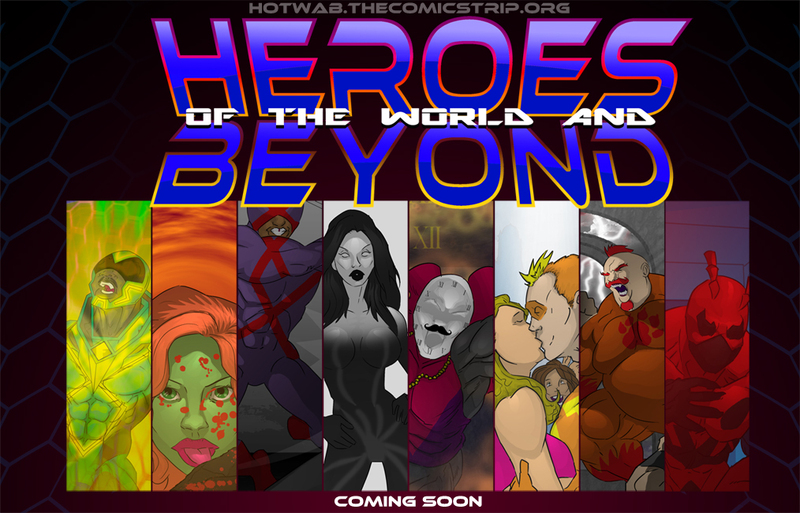 This will include a big influx of new characters as I populate the HOTWAB world (and a few exits too). This will give me the tools I need to set the scene, mix and match the cast and finally get around to creating a super group! All the best, and stay safe! See you Monday! Heh didnt expect him to be so small inside there, I like that.